planIT Hardware, a successful Networking Supply Company, negotiated a deal to sell some of their high profile 401k domain names to Annuity Think Tank. The 401k related URL domains from planIT Hardware will be used in Annuity Think Tank’s new Internet Marketing Platform. planIT Hardware negotiated a deal to sell some of their high profile 401k domain names. The Atlanta based networking hardware marketplace, planIT Hardware, exchanged some of their high profile 401k domain names to Annuity Think Tank this week. Although planIT Hardware specializes in buying and selling new and used network equipment, the company has amassed a rather large listing of high end domain names as well. The 401k correlated website domains from planIT Hardware will be used in Annuity Think Tank’s new Internet Marketing Platform for Financial Advisors. 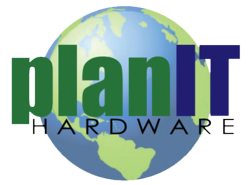 In 2009 PlanIT Hardware opened their doors to provide customers with the most convenient marketplace for new, pre-owned, used and refurbished networking hardware. Today PlanIT Hardware is the easiest and most convenient way to buy and sell network equipment from top brands such as Cisco, Extreme, Juniper, HP, Nortel, Force 10, Avaya, F5, Brocade/Foundry and many more. 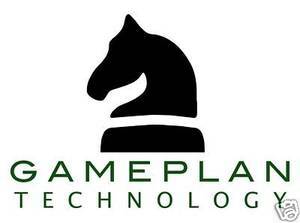 For more information, please visit their planIT Hardware website or contact planIT Hardware directly at 404-961-1152. planIT Hardware also does business as Gameplan Technology. Annuity Think Tank’s vision is to be the first place advisors and consumers come to for innovative annuity solutions, unbiased annuity education, annuity research, and the most comprehensive annuity information on the web. Consumers interested in learning more about annuities, basic to advanced annuity concepts, and annuity calculators, please visit the consumer site, Theannuitythinktank.com, for more information. Financial advisors and retirement experts interested in retirement education, marketing ideas, and white papers, please visit Annuitythinktank.com. To contact us for more information directly, email the Think Tank at info(at)annuitythinktank(dot)com.